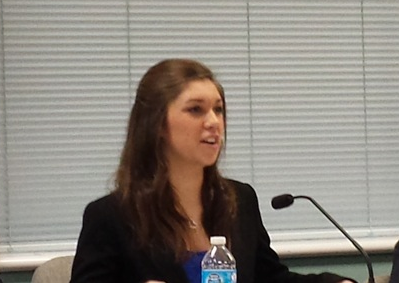 Taken April 6, 2016 at the NJ Board of Education monthly board meeting in honor of School Library Month. 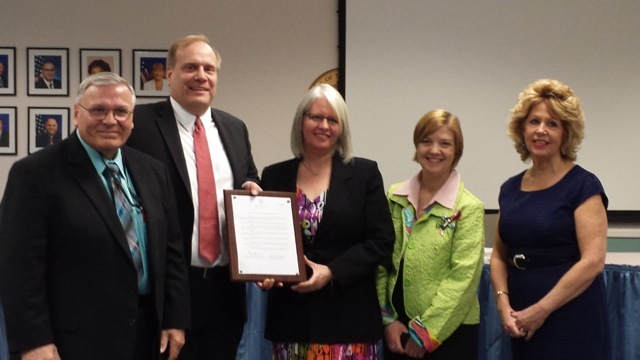 On April 2, 2014 the NJ State Board of Education adopted a Resolution to join NJASL in recognizing April 2014 School Library Month in NJ. School Library Month was founded by the American Association of School Librarians (AASL) in 1985 to celebrate school librarians and their library programs. the 2014 theme is Lives change @ your library® and Jeff Kinney, author of the award winning Diary of a Wimpy Kid series, has been named the national spokesperson. School librarians in New Jersey are encouraged to commemorate the essential role that strong school libraries play in a student's educational career. For additional ideas and resources to help your school library celebrate, visit http://www.ala.org/aasl/slm. From left to right: Joe Fisicaro, Vice President of the NJ State Board of Education, David Hespe, Acting Commissioner, NJ Department of Education, Arlen Kimmelman, NJASL President-Elect, Mary Moyer, NJASL's Legislative Chairperson, and Luann Amodeo, NJASL's Liaison to the NJ Department of Education. On behalf of the New Jersey Association of School Librarians, I thank you, Mr. Fisicaro, members of the State Board of Education, and Commissioner Hespe for proclaiming April as School Library Month. In February the New Jersey State Board of Education reaffirmed its commitment to the implementation of the Common Core State Standards. Standards alone will not improve schools and raise student achievement, nor will they narrow the achievement gap. The Common Core State Standards encourage a strong focus on deep research, and school librarians recognize their important role not just in supplying and recommending texts, but also in understanding and using information, and in thinking across the many curricular areas in the school. Likewise, a school librarian’s role is to provide literary and informational text related to mathematics and the sciences, as well as providing technologies that help students conceptualize mathematical and scientific principles. It is important that librarians assist in structuring problem solving activities that help students understand and articulate their solution process. School libraries can no longer be regarded as warehouses; they are laboratories of learning in support of college and career readiness and of global communication skills. This proclamation substantiates that school librarians are critical partners in curriculum delivery and are the backbone for the integration of technology in instruction and professional development for school staff. We encourage you to contact NJASL and arrange to visit one of our libraries, so you can experience firsthand how a school library impacts student learning. 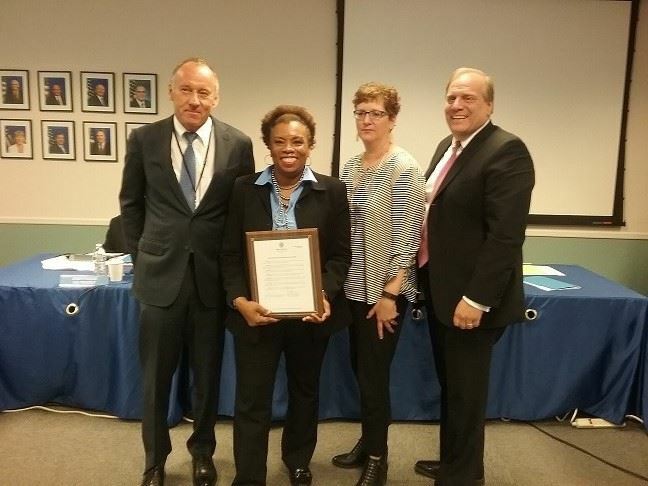 Thank you once again for declaring April 2014 as School Library Month in New Jersey. "... it has been brought to my attention that the New Jersey State Board of Education will be recognizing April 2014 as School Library Month, and I have decided to take this opportunity to express gratitude on behalf of students across the state. As you know, every staff member is key in making a school successful, and a librarian is no exception. With the ever-changing ways of research and technology, the School library and its staff is the place everyone turns to, including fellow teachers, to be updated on the latest news…..It is my hope that April brings much deserved gratitude and appreciation toward the library and its staff. Thank you!"